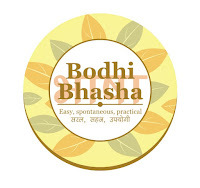 Bodhi News & Analysis - Shutting a startup | Social enterprises | Turkey - EU relations - 20 Mar. 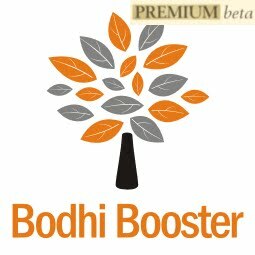 Welcome to Bodhi News for 20 March, 2017 - from Bodhi Booster knowledge portal! 1. 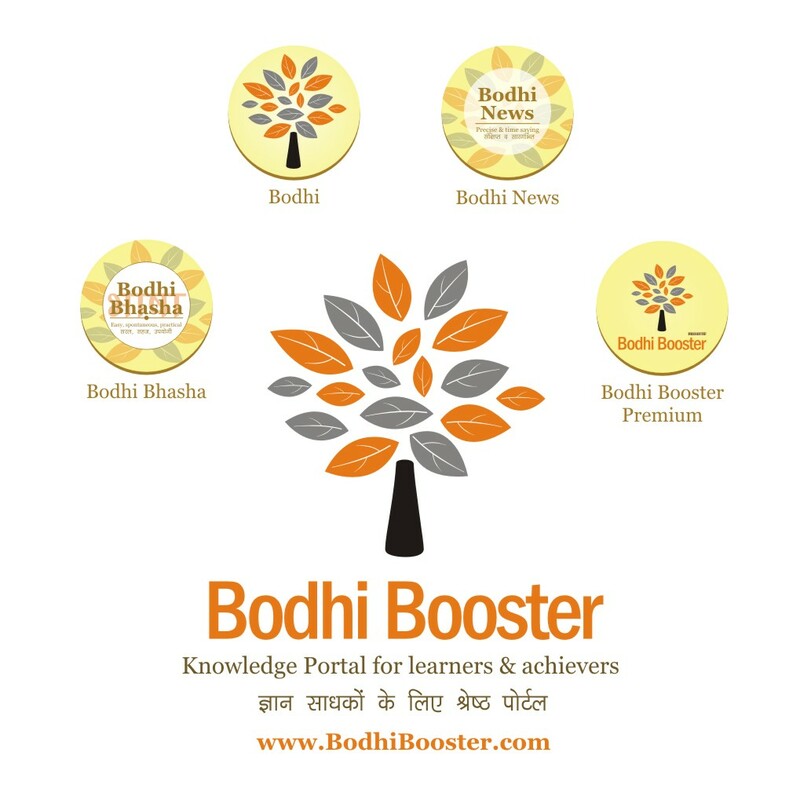 Indian politics – Firebrand UP BJP leader Yogi Adityanath, who was earlier elected as the leader of the state legislative party in Uttar Pradesh, was sworn-in as the 21st Chief Minister of UP along with two deputy-chief ministers (for the first time) and other ministers of his cabinet on Sunday. PM Modi and chief ministers of 9 NDA ruled states were present at the swearing-in ceremony. 2. World politics – Germany reacted sharply after Turkish President Recep Tayyip Erdogan accused Chancellor Angela Markel of using “Nazi measures”. Turkey and the European Union are locked in a explosive crisis over next month’s referendum on expanding the Turkish President’s powers, that threatens Turkey’s bid to join the bloc. 3. World politics – Chinese President Xi Jinping and US Secretary of State Rex Tillerson urge cooperation as North Korea tested rocket engine defying recent calls for calm on the Korean peninsula. The two leaders met on Sunday. This is the highest level meeting between the US and China after Donald Trump took power in January. 4. Companies, products, services - Cognizant appears set to cut 6,000 jobs, representing 2.3% of its total workforce. The company is struggling with growth in an IT environment that is speedily shifting to digital services. The company’s layoffs in 2016 were about 1 to 2%, while they were 1% in 2015. 5. Companies, products, services – With prospects of tougher regulations governing work visas, Infosys has decided not to apply for H1-B visas for its junior employees. Indian IT firms have so far been largely dependent on work visas, but with rising waves of protectionism in the US, they have started readjusting their business models to reduce their dependence on the visas. 6. Indian politics – In its first major achievement, the newly formed BJP-led government in the northeastern state of Manipur was successful in ending the 139-days old economic blockade by the United Naga Council (UNC) after the Council’s meeting with the representatives of Manipur government. The blockade had crippled transport services in the state and hit essential supplies. 7. Indian economy – Chinese internet major Alibaba’s digital platform UCWeb is forming a strategic group to explore opportunities to increase investment in India, for which the company has set no ceiling for deployment of funds. UCWEB is also planning to collaborate with Paytm and other e-commerce firms. 8.Natural and other disasters – A sudden and abnormal warming of Pacific waters off Peru unleashed the deadliest downpours in decades as a result of an abnormal El Nino effect. More than 62 people lost their lives and more than 7000 rendered homeless after the heavy downpours. 9. Constitution and law – In a historic development, the bill to regulate marriages of minority Hindus in the Islamic Republic of Pakistan became a law after Pakistan President Mamnoon Hussain gave his approval to the bill on the advice of PM Nawaz Sharif. 10. World politics – US President Donald Trump has described his meeting with German Chancellor Angela Markel as a great meeting. However, he said that Germany owes NATO vast sums of money and it must pay more to the United States for security. 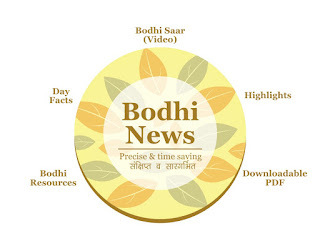 Bodhi News: Bodhi News & Analysis - Shutting a startup | Social enterprises | Turkey - EU relations - 20 Mar.